Young's Special is a classic premium bitter with cult status amongst cask beer aficionados. Its distinctive taste makes Young's Special a beer that is eagerly sought out by its loyal fans the length and breadth of the UK. 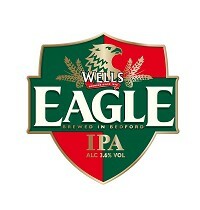 It is brewed with 100% British ingredients as has the Red Tractor stamp of approval. An award winner in both 2002 and 2004 at the brewing industry international Awards, Young's Special is a cask ale with genuine credentials and one which shares in Young's 175 years of brewing heritage and excellence. 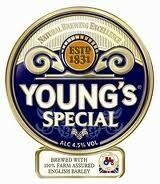 Young's Special is a 100% malt brew combining Maris Otter and Crystal malt with locally sourced British Fuggle and Goldings hops.